﻿ See the Best Deals When It Comes To Mid Century Floor Lamps! See the Best Deals When It Comes To Mid Century Floor Lamps! Floor Samples that you sure don’t want to miss! 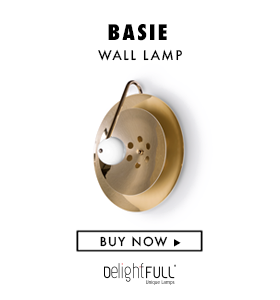 DeligthFULL is a high-end luxury brand, and the opportunity to get the best deal when it comes to mid century floor lamps seems pretty much a dream come true! 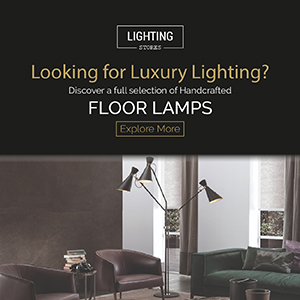 See some of the floor lamps that can be yours in no time, and for the best price ever! Evans Floor Lamp is one of the great examples of what the Floor Samples Section has to offer! This mid-century floor lamp is ideal to display on your living room décor, and create the perfect atmosphere, so you can travel back in time to the fifties. Mid-century style is back on track, and the best part is that this particular floor lamp is handmade in brass, aluminum, and cord, and you can choose another color, finish, size, and type of bulb. However, if you want to get the best deal, the matte black and gold plated version is available and ready to ship! Inspired by the mid-century style and the amazing jazz musician Chris Botti, Botti Floor Lamp will make you feel like you’re in the middle of one of Chris Botti’s concerts! The shades are in the shape of a trumpet, and you can add as many shades as you want. This magnificent floor lamp is handmade in brass, and the gold plated version is available and it’s in a distance of a click. What are you waiting for to close this deal? With a body like wow, or like we should say: a body totally in brass, with the most colorful shade. Diana XL Floor Lamp is a statement piece, that will pair up very well with your vintage industrial style décor. Talented Portuguese artisans use ancient techniques to produce this beauty. The red glossy version is available, so you can display it on your vintage home décor. If you’re looking for the perfect present for a design lover, think no more! Brubeck Floor Lamp is a classic from the mid-century era, and you can also celebrate this inspiration’s birthday! Yes, Dave Brubeck would turn 91 on the 6th of December. Available in gold plated, you can wrap this present in less than two weeks. Your Christmas Tree is waiting for it! Best Deals: Nickel Plated Lamps to Brighten Your Home Décor!